Microsoft has released Windows Server 2016 TP4 last week. I was quickly testing this built with Hyper-V role in my lab as a newly added feature announced by Microsoft took my attention: Hot-add or Hot-remove memory to running VMs as well as vNICs. In fact you can adjust the amount of memory assigned to a virtual machine while it’s running, even if you haven’t enabled Dynamic Memory. This works for both generation 1 and generation 2 virtual machines. Additionally some of the new features for Hyper-V include an update in the management tool which now allowing to manage all generations of Hyper-V …. So basically you can manage all of those hyper-v hosts – Hyper-V 2008, 2012, 2012 R2 or 2016 – with the same console…. This time I used my desktop system with VMware Workstation installed, but you can also use ESXi and configure the requirements (via web client). Physical Box (running desktop OS …. Windows 8.1) > VMware Workstation VM running Server 2016 TP4 (named “2016TP4MAIN” ) with Intel VT-x activated > Server 2016 TP4 Hyper-V VM which we will be testing the hot-add or hot-remove memory. Note that in my case I can spin quite a few VMs on that host which has 64Gb of RAM. The VMs were running from local flash storage. Bellow you can see the settings of the VM. 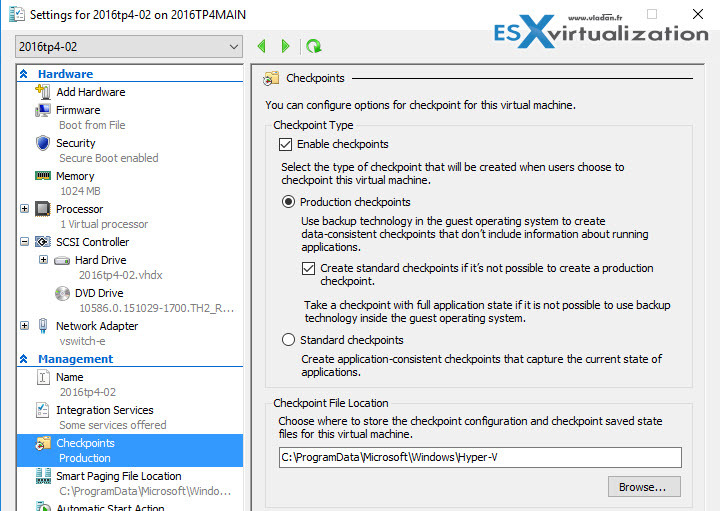 You’ll need to check the box “Virtualize Inte VT-x/EPT or AMD-V/RVI check box. After installation of that VM you activate Hyper-V role via add/remove roles and features > restarts the system > open Hyper-v management console and create a new VM. In my case I just picked the same ISO – Widnows Server 2016 TP4 – and did the test on that VM. New VM configuration file format – (VMCX) Virtual machines now have a new configuration file format which is designed to increase the efficiency of reading and writing virtual machine configuration data. It’s also designed to reduce the potential for data corruption in the event of a storage failure. The new configuration files use the .VMCX file extension for virtual machine configuration data and the .VMRS file extension for runtime state data. A file with the .VMCX file extension is in binary format. Directly editing a file with a .VMCX or .VMRS file extension isn’t supported. PowerShell Direct – this is interesting aproach to run PowerShell session in a VM from a host (instead from inside of that particular VM) without network connection between the host and the VM. You’ll need to have Server 2016 and the VM has to be also Server 2016. PowerShell Direct runs between the host and the virtual machine. So you don’t need a network connection or to enable remote management. You do need guest credentials to log into the virtual machine. Cluster Functional Level – it’s possible to add running Server 2016 Hyper-V hosts into a Hyper-V cluster running 2012R2 hosts. The cluster continues to function at the 2012R2 cluster level untill you upgrade all the hosts to the 2016 version of Hyper-V. Then only you can upgrade the cluster functional level via PowerShell cmdlet Update-ClusterFunctionalLevel. Note that like at VMware, there is no way back… (Note that you might check this post: Three Ways to Downgrade Virtual Machine hardware version – to roll back VM version in VMware environment. create “point in time” images of a virtual machine, which can be restored later on in a way that is completely supported for all production workloads. This is achieved by using backup technology inside the guest to create the checkpoint, instead of using saved state technology. For production checkpoints, the Volume Snapshot Service (VSS) is used inside Windows virtual machines. Linux virtual machines flush their file system buffers to create a file system consistent checkpoint. Quite a lot of new stuff in this release, and I did not talk about all of them. I did not touch a word on nested virtualization (now possible to create virtual machine as a Hyper-V host and create virtual machines within that virtualized host). Yes, VMware had this since long time ago, I know…. An Integration services (a VMware tools equivalent) is now distributed separately – through Windows update. If you ask me I must say, yes Hyper-V is getting better, there is no doubt about it. Let’s see when the final version will be here. 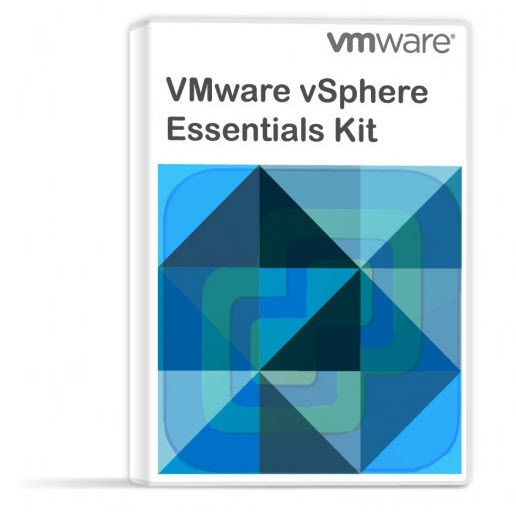 In the meantime, vSphere 6.0 is here since long months, and the 6.x version is in the pipes. Possibly vSphere 6.5? Who knows…? You can download the latest release of Windows Server 2016 TP4 from Microsoft’s site here. Check what’s new in Microsoft Windows Server 2016 TP4 in this post at technet.